Haddon Appraisal Services, Incorporated is a residential real estate appraisal firm. 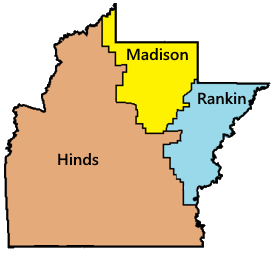 We service the greater Jackson metropolitan area that includes Hinds, Rankin, and Madison counties. We offer a full line of real estate appraisal products with service second to none. Our staff is committed to the best possible turn around times on your appraisals. Our office is capable of sending appraisals via e-mail which aids in turn around time as well. We have four (4) full time appraisers and one trainee. This gives us almost 20 years of appraisal experience under one roof! If you are buying, selling, building that dream home, refinancing or trying to remove PMI, Haddon Appraisal Services, Inc. can help you by providing an honest valuation of your property. If you are going through a divorce and dividing assets, it is important to know the value of those assets. We are prepared and capable of helping in this area. Please visit our list of clients to see if you or your lender is found there. If not, please do not hesitate to call us as we can take the appropriate steps to get on that approved list and will be glad to do so. I was born and raised in the greater Jackson metropolitan area. I attended St. Joseph High School, Hinds Community College as well as Belhaven College in Jackson. My major is business and I am very close to completing my degree via night school at Belhaven College. I spent many years in the restaurant business with Pizza Hut and Subway (the last year in Sydney, Australia). I have been in the real estate appraisal business since 1996. I trained under a local MAI before starting my own business in November of 1997. Since that time, Haddon Appraisal Services, Inc. has become one of the more respected real estate appraisal firms in the Jackson metropolitan area. We work hard every day to maintain the reputation we have built for our company. I am married to Lora Adams of Richland and we have two beautiful children (Adam who is 11 and Sarah who is 9.) We currently live in the Crossgates subdivision in Rankin County. My hobbies are radio controlled model boat racing and MSU athletics. I encouraged all of our staff at Haddon Appraisal to write a brief bio about themselves as I wanted you, our clients, to have the opportunity to know a little more about the company you are trusting to represent you. Eric Cook grew up in Carthage, Mississippi and has been a resident of Madison since 2001. Before moving to Madison, Eric completed his B.B.A. from Mississippi State University in Real Estate, Finance, and Appraising. Eric has a been a residential real estate appraiser with Haddon Appraisal Services since April 2006. Eric has a background in residential construction (co-owner of Real-Pro Properties, LLC) and also worked previously as a licensed stockbroker for a Fortune 500 company before entering the real estate field. Eric is married the former Jennifer Quarles of Madison, and they have one beautiful daughter, Ollie. Other interests include MSU athletics, Madison-Gluckstadt Rotary Club, and traveling. Eric played baseball collegiately at East Central Community College in Decatur and later at Millsaps College in Jackson. Graduated Brandon high school and attended Hinds Community College and has lived in the Brandon community for the past 20 years. Chris enjoys outdoor activities of all kinds including scuba diving. Chris is an appraiser trainee at Haddon Appraisal Services. He began his appraiser training in June of 2003 and anticipates being a licensed appraiser by summer of 2004. Chris spent the previous four and a half years working for an area mortgage company. His primary responsibility was asset prequalification.